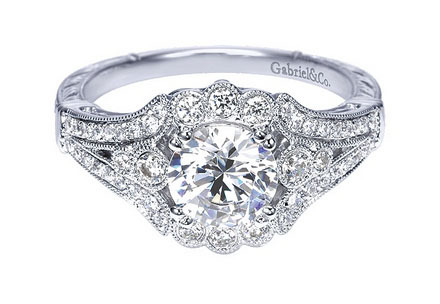 A scalloped halo of glittering round diamonds embraces your chosen center stone in this vintage-inspired engagement ring. 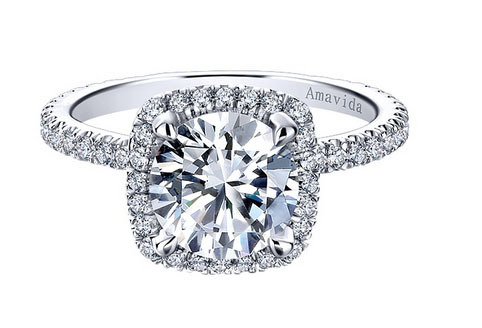 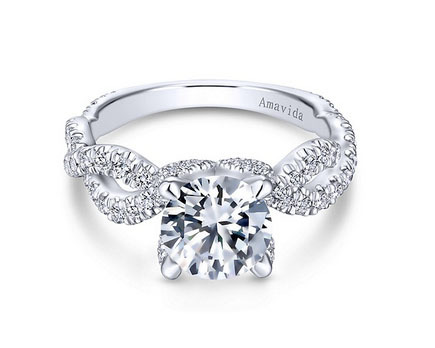 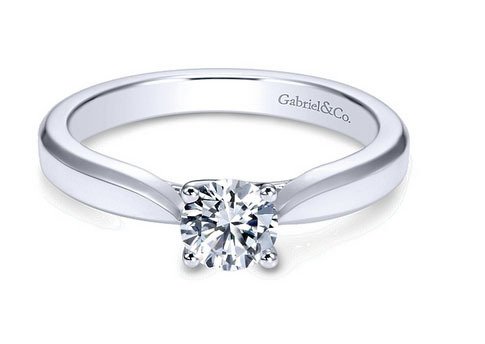 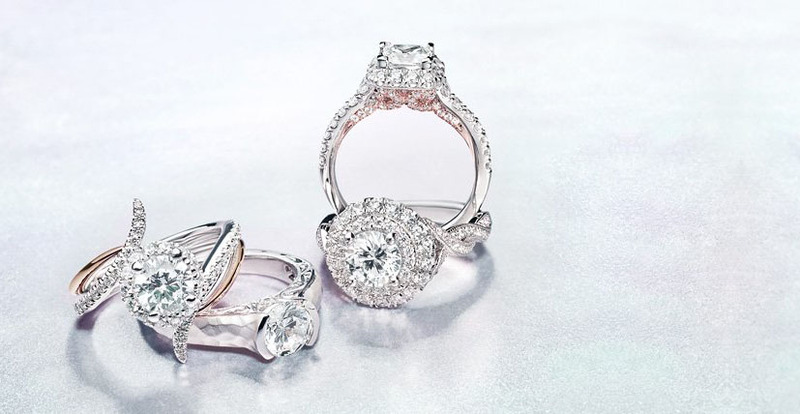 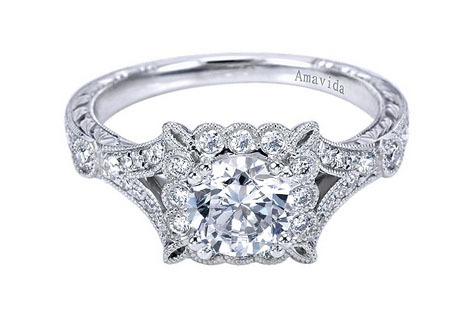 The platinum band with diamond accents splits subtly as it approaches the center stone. 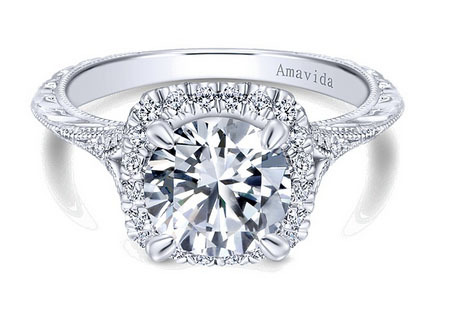 Round bezel-set diamonds with milgrain borders frame the center stone of this lovely platinum engagement ring. 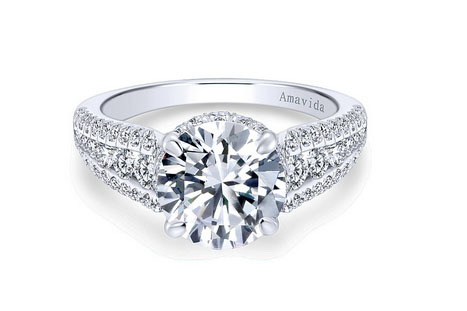 The split shank band features matching diamond and milgrain detailing. 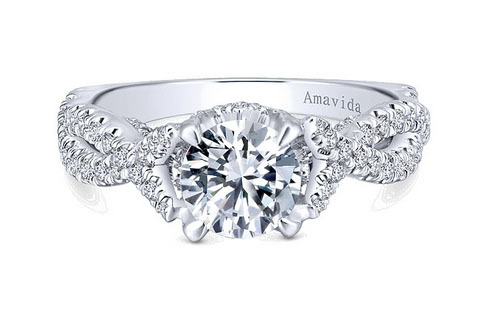 A woven band of twisted diamond strands creates the ideal backdrop for your round cut center stone. 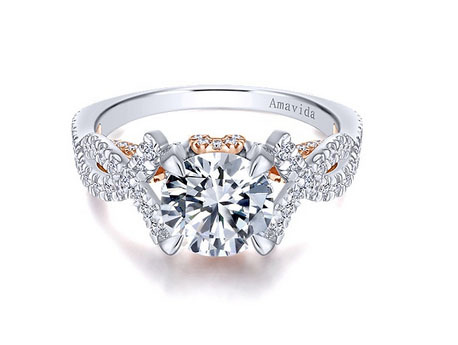 A hidden pink gold ribbon adds a special feminine flair.